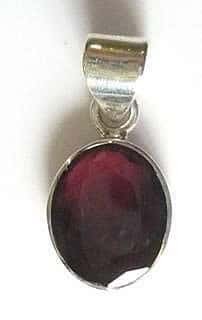 Tourmaline in this size and with this clarity is hard to find, so this is very much a one off pendant. The faceted stone is 15mm x 12mm and just very simply set in silver. Sold on a FREE eighteen inch sterling silver chain.